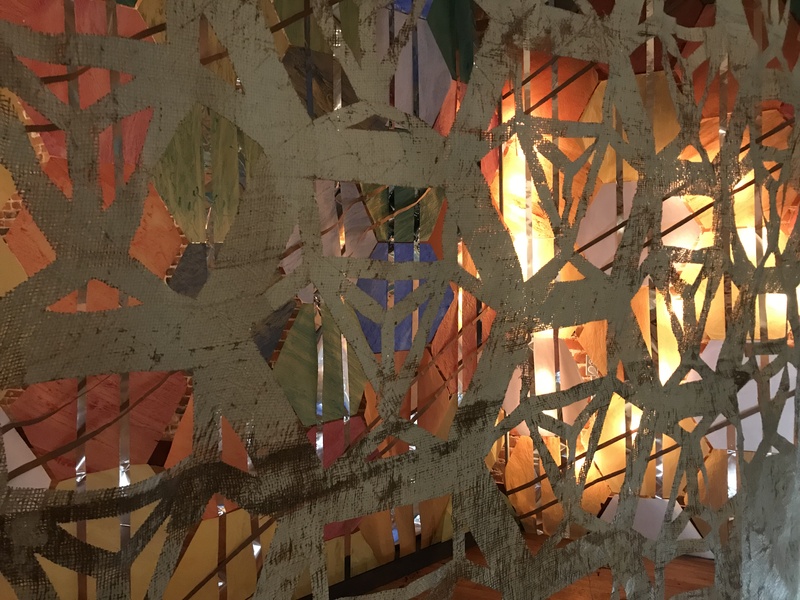 Science of Surprise is an immersive installation of light, reflection, and contemplation paired with an exhibition of large-scale mixed media artworks created by artist Christa Reuel. Using themes of water as a springboard, Reuel’s works serve as visual metaphors of the dualities, multiplicities, order and chaos found in nature. Her art explores these intersections. In so doing, Reuel challenges us to reflect upon the world we experience and be inspired and engaged. Christa Reuel is a multi-disciplinary installation artist from Goshen, Indiana who has exhibited in China, Thailand, Texas, California, Virginia and throughout the Midwest. For several years, she and her husband Jonathan have focused on community-supported arts projects.